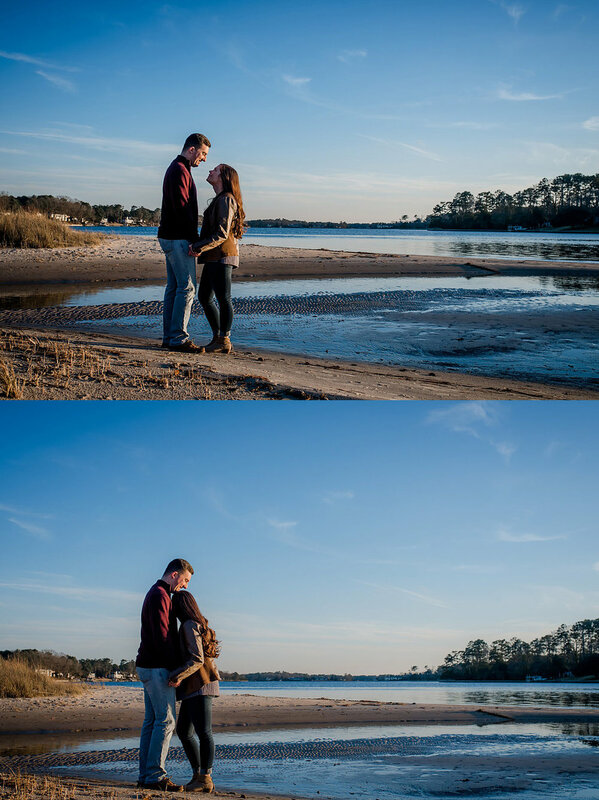 I recently met the loveliest couple at First Landing State Park for a winter engagement photo session. Morgan and Eric moved to Virginia a few months ago so they could be together during Eric’s stay here with the Navy. 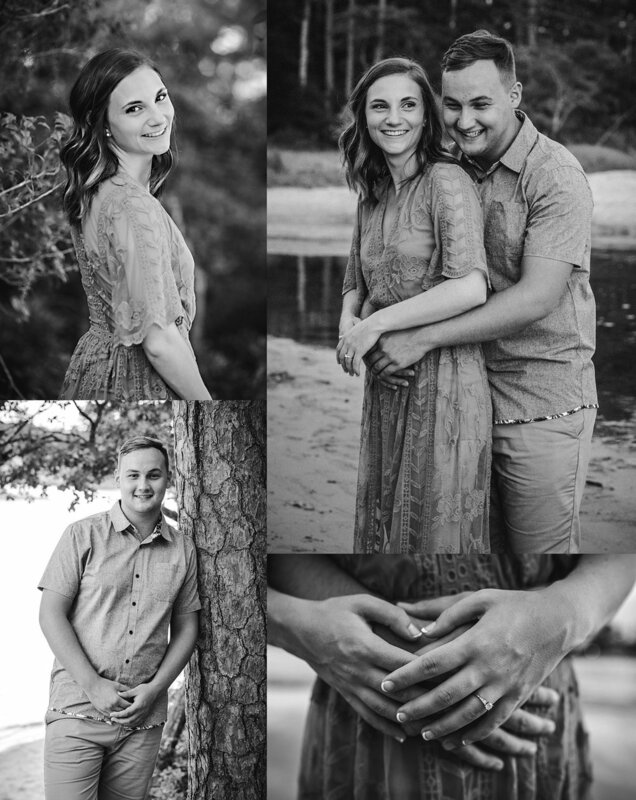 They recently got engaged, yay!, and wanted to celebrate with some beautiful engagement photos. 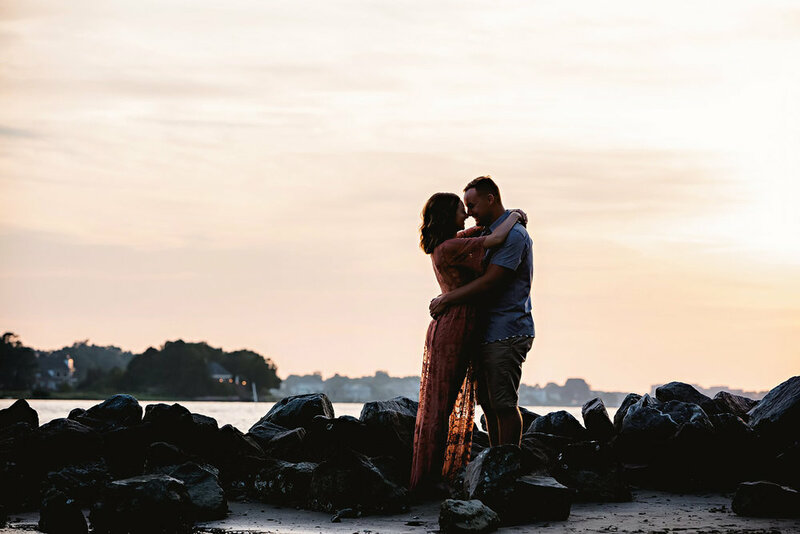 After I showed them some examples of my favorite locations for engagement pictures in Hampton Roads, they decided that First Landing State Park was the perfect setting for their photo session. 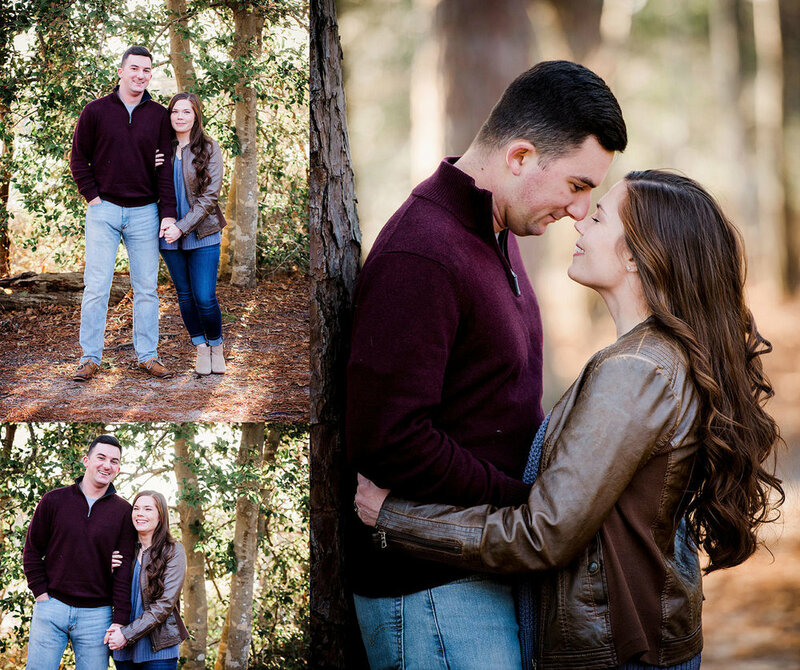 We headed to the park on a sunny afternoon in January, to capture some creative engagement portraits along the shore and wooded trails. One of the reasons that First Landing State Park is a favorite spot to take photos, is that it offers such a fantastic variety of coves and overlooks for unique photo opportunities. I love that it looks a little different each time I visit. I also love the dreamy Spanish Moss handing from the trees. One of the best things about shooting there in the winter, is that the park is pretty quiet, and there is much less foot traffic than in the warmer months. Though they were admittedly a bit nervous about posing for photos at the start, Morgan and Eric were naturals in front of the camera. I guided them into some loose poses and had them focus on each other. That was all it took to create a little bit of magic. They are absolutely gorgeous together. 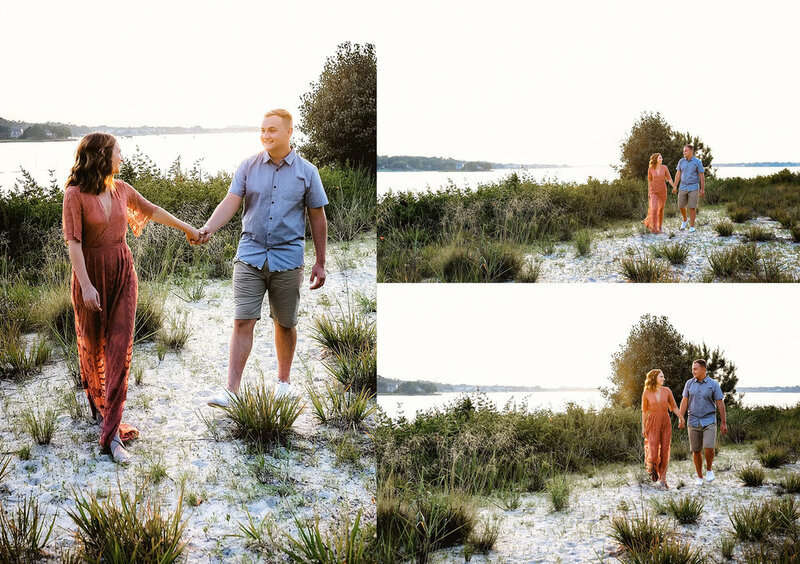 We had such a lovely afternoon together, and it didn’t take long before we walked away with a memory card full of gorgeous images. I truly enjoyed getting to know this delightful couple! 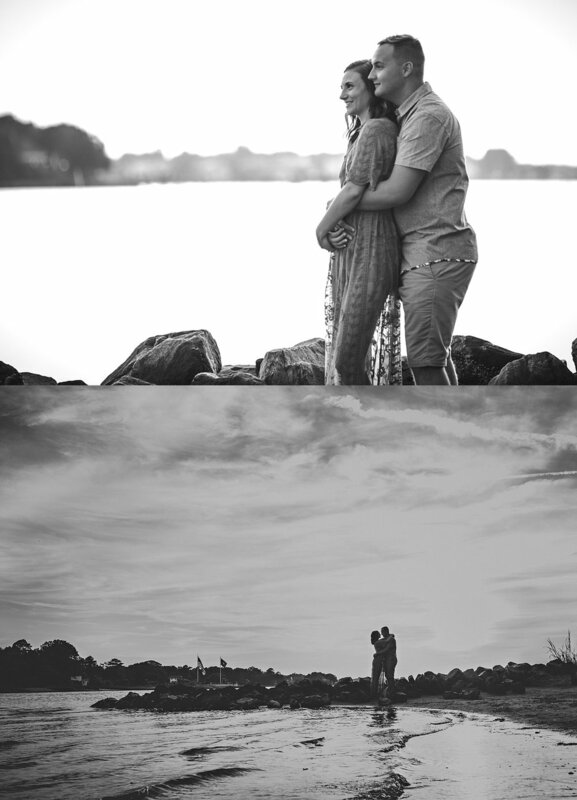 It was wonderful to have the opportunity to create some unique engagement pictures for them. 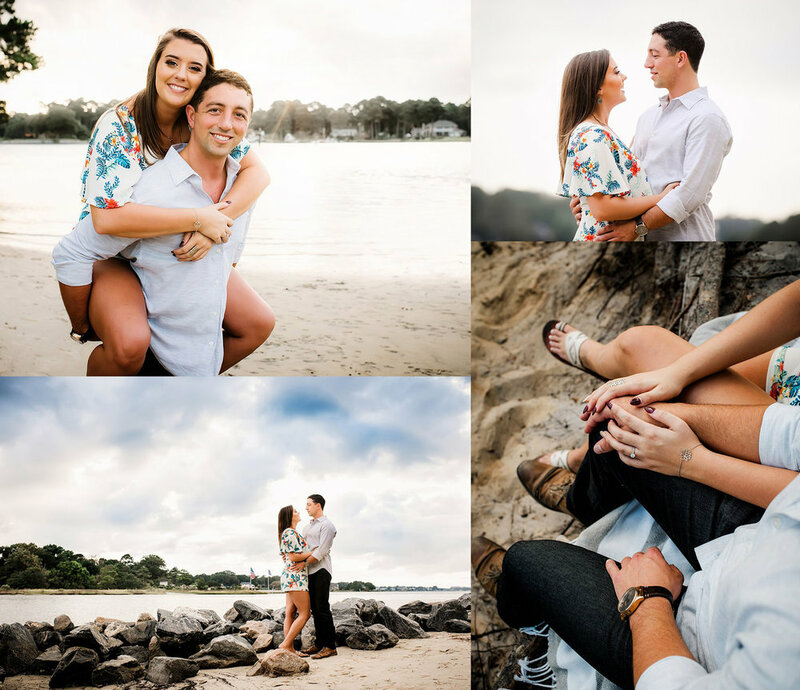 If you would like to find out more about our engagement photography services, contact Melissa Bliss Photography today! Serving VA & NC. Available for travel destinations worldwide. If you enjoyed this post, please share it. Your support is greatly appreciated. Thank you! 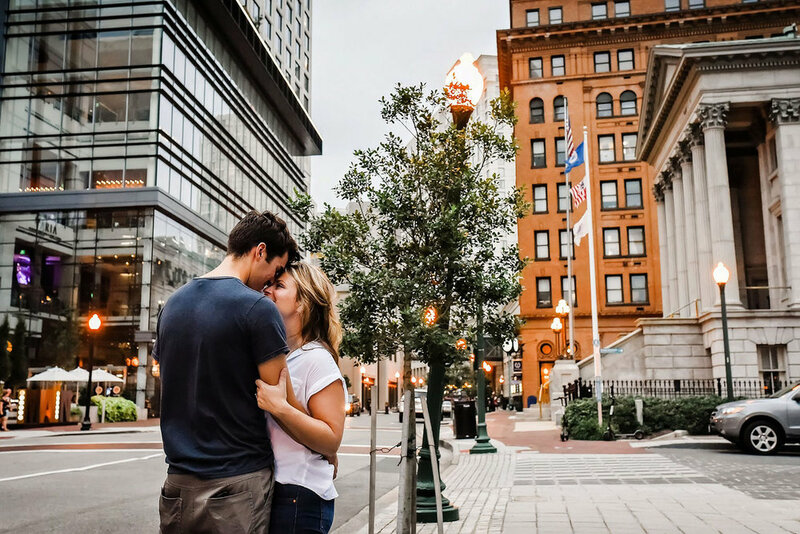 Today I am sharing a lovely little downtown Norfolk engagement session! Have I mentioned that I love shooting in the city? All the unique architecture, pops of color, and textures make for some awesome creative inspiration! 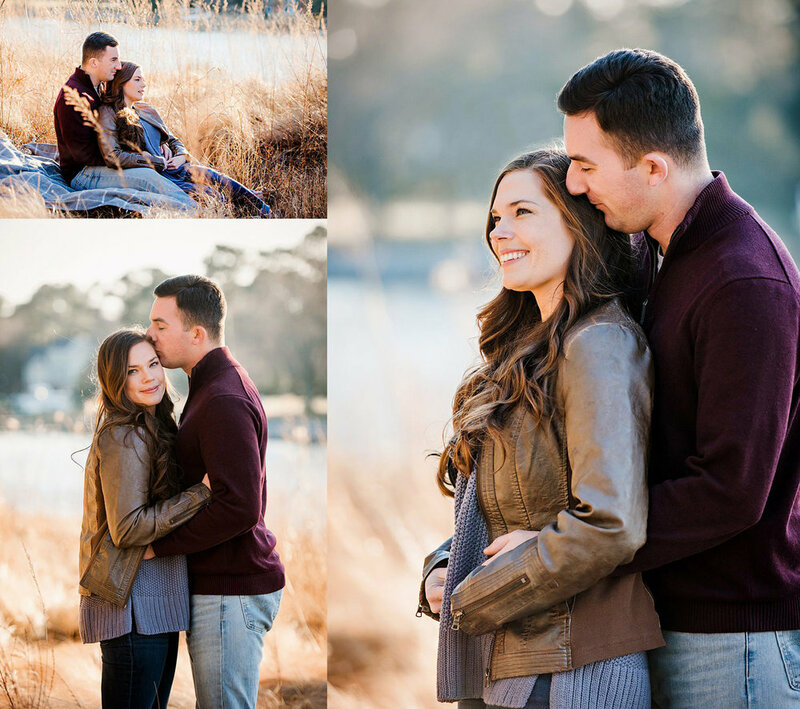 Peter is currently stationed in Norfolk, and Kathryn planned a trip to visit him and have their engagement portraits taken. 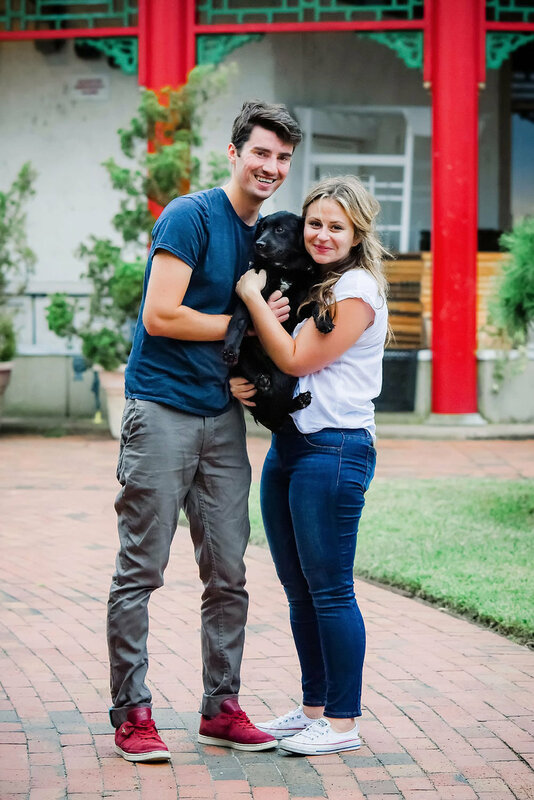 They are engaged to be married in December and until then, they are making do with a long-distance relationship. 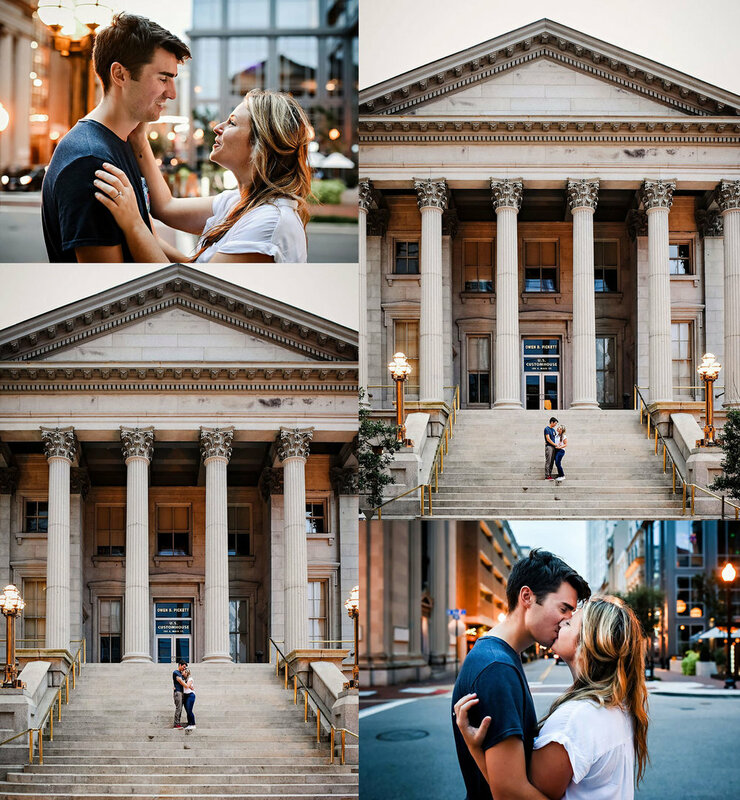 We planned a fun sunset session in the Freemason District for Friday after she arrived. Unfortunately, Kathryn got sick on her way into town, and she was only planning to be here for the weekend. We decided to reschedule for Sunday morning, in hopes that she would be feeling well enough for the session after a day of rest. Fortunately, our Plan B worked out really well - she felt much better by Sunday, and we had a gorgeous sunny morning for our photoshoot. 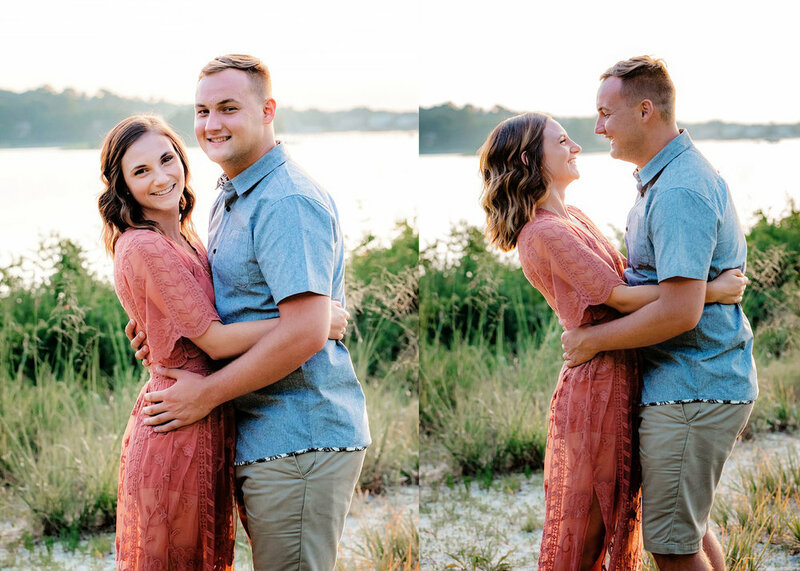 I had a great time getting to know Kathryn and Peter during our session, and I am thrilled that we managed to get some beautiful shots for them while they had some time together. Hey friends! It's that time of year again. Summer is winding down and back to school sales are exploding everywhere. As much as I hate to say goodbye to summer, it is time to gear up for fall sessions! 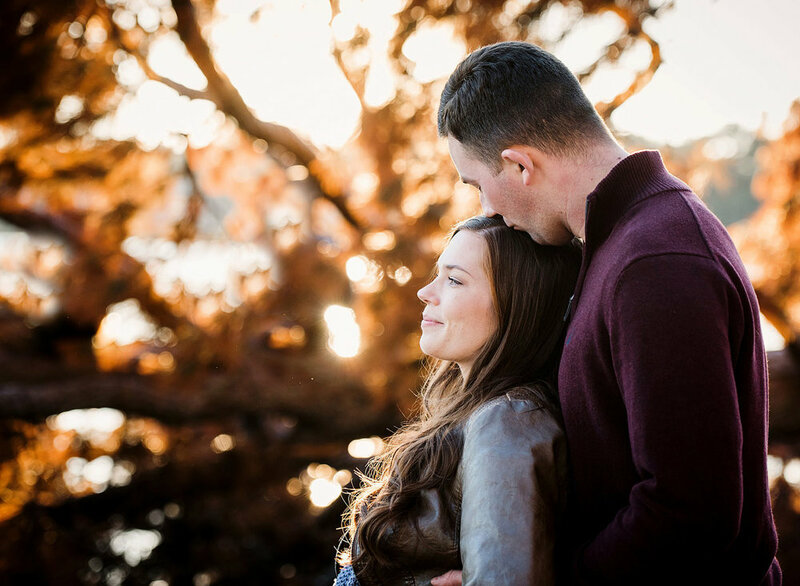 There are tons of beautiful locations in Hampton Roads that make the perfect backdrop for a fall family session, or holiday photos. We're fortunate to enjoy mild weather and stunning color throughout most of the season. If you are wanting holiday card photos of update family lifestyle pictures, now is the time to plan your session. 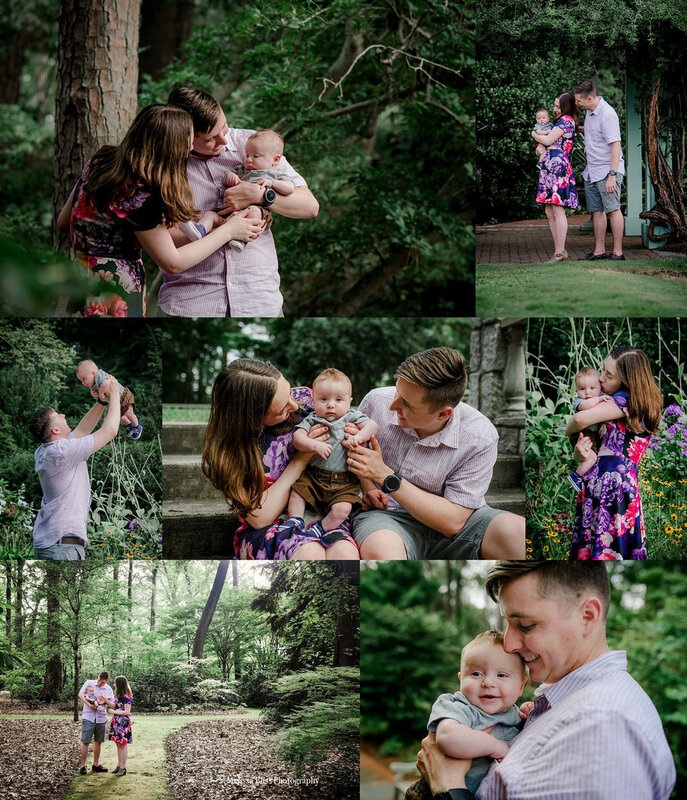 If you are in the Hampton Roads, VA area and would like to schedule your creative portrait session, contact us today! This crazy busy season keeps chugging along full steam ahead, and once again I am behind on blogging. I swear I blinked and July disappeared! I have had so many fun-filled sessions with fabulous people, it will likely take me until December to catch up! But, I am thrilled to be shooting so much, and to have the honor to connect with so many beautiful souls. 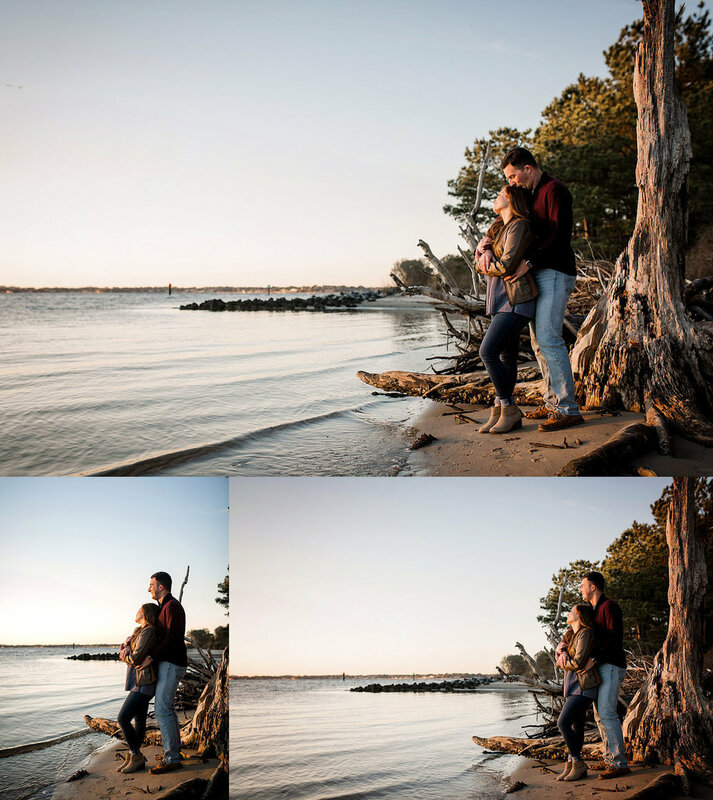 This week's share is Terrin and Melissa's gorgeous sunset engagement session at First Landing State Park. These two lovelies hail from the West Coast. They actually met as young kids when their older siblings were dating. 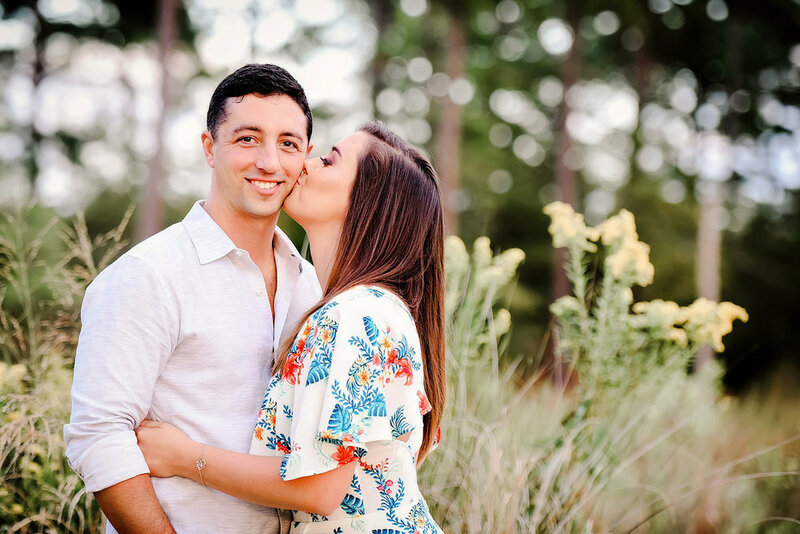 Their families have been close for many years, and as they grew up, Melissa and Terrin grew closer and closer. Finally, they decided it was time to tie the knot. Terrin is currently stationed in Norfolk, while Melissa works back home in Washington State. 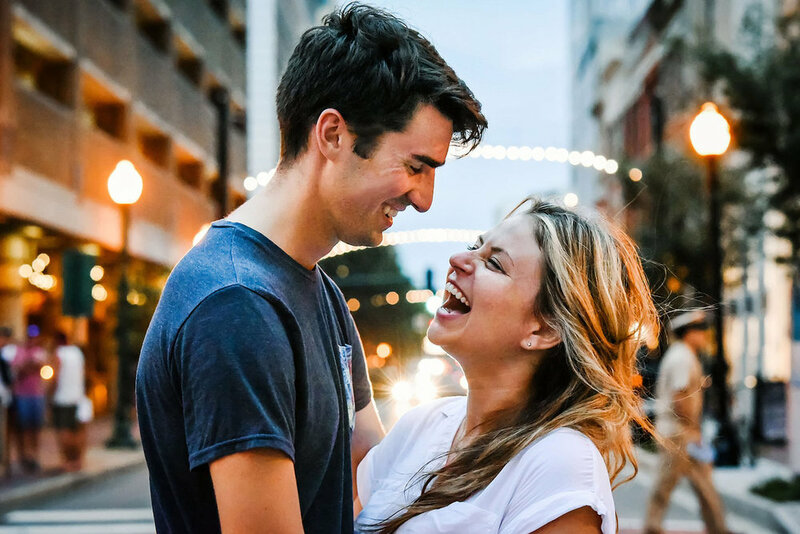 She contacted me months ago to plan an engagement session for early summer, to coincide with her vacation plans in Virginia. We spent the lovely summer evening wandering through the woods and along the shoreline as the sun began to set. 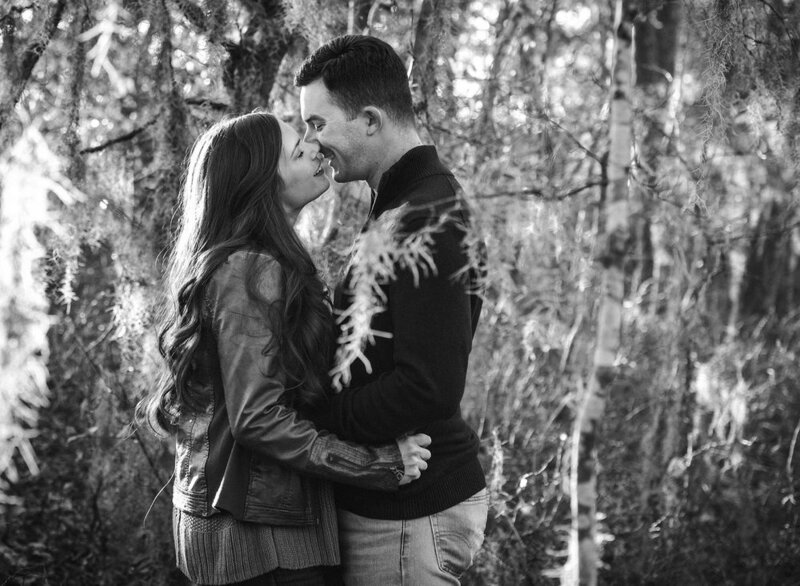 Melissa and Terrin were so much fun to shoot. 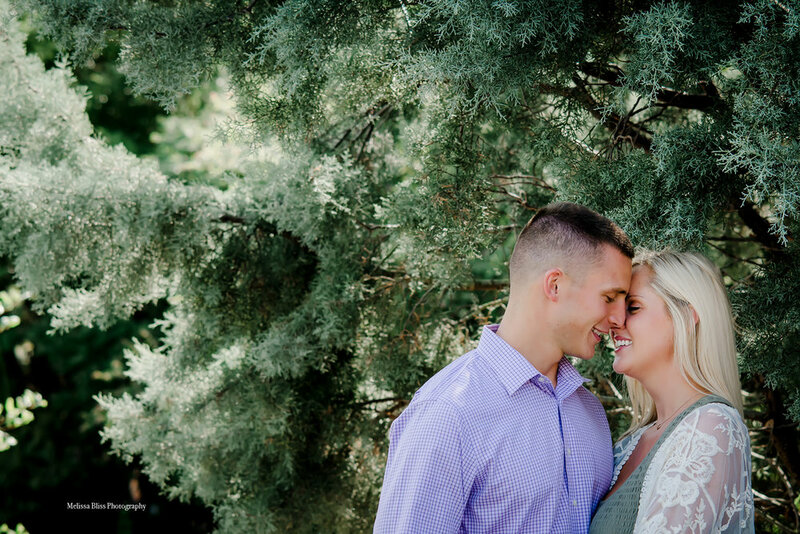 They are so deeply connected and at ease with one another, my job became simply guiding them from scene to scene through moments of silly banter and sweet intimate embraces. They rest is all them. Life is infinitely more enjoyable, when you don't take it, or yourself, too seriously. And the scenery at First Landing never disappoints! So this was pretty darn exciting! It has been a little while since I have shot a surprise proposal. Sean contacted me a few weeks ago while he was planning a way to surprise his girlfriend and pop the question. We chatted on the phone a couple of times, and I could tell by his thoughtfulness, warmth, and enthusiasm that this was going to be a very emotional event. I was thrilled to be able to help him select a location, and iron out the details of how to capture this moment without blowing the surprise. He made dinner reservations at Rockafellers, and planned a sunset walk on the beach after dinner. He left no detail undone, and made a beautiful keepsake box as a gift for Julie. He told me that he gave her small gifts often, and planned to have her open the gift on the beach as he got down on one knee. It all went off perfectly. I was SO excited to be there to capture this moment for them! It was absolutely beautiful! If you enjoyed this post, please share it! Your support is greatly appreciated, thank you! 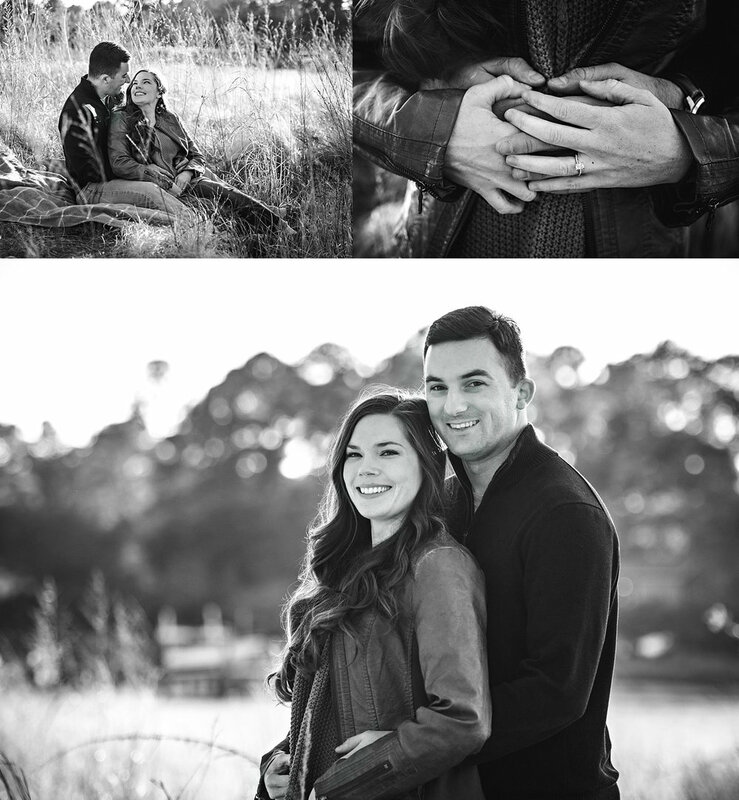 To find our more about planning a lifestyle photo session or surprise proposal, contact Melissa Bliss Photography.